I remember the first song I ever heard: “Eight Days A Week” by the Beatles. I went into radio because I wanted to be around music. Later on, a musician got me started in photography. I had a music publicity portrait business for a few years. I wanted to promote the Washington, DC music scene, because Washington is loaded with talented musicians. I'm also learning to play guitar, sing, and write songs. Wonder of wonders, I'm learning how to play “Eight Days A Week” on guitar! I love all kinds of music, so I'm pretty much a generalist. I've always loved psychology, too. I have a really strong curiosity about why people are the way they are, and why they ​do what they do. I've decided to become a counselor and life coach. I'm currently completing a BS in psychology from Upper Iowa University, via distance education, then I will get a Masters in counseling from Johns Hopkins University, then complete my doctorate in counseling at the University of Maryland-College Park. I've written mental health articles for the Washington, DC edition of Examiner.com. I wrote on topics like mental illness ​in families, social anxiety disorder, Traumatic Brain Injury, and personality types, like introversion and extroversion. Additionally, I've worked with a crisis intervention center on a project surveying how other crisis intervention centers handle incoming calls. I'm especially well-versed in mood, personality, and anxiety disorders. I've done temporary work to supplement my former photography business, and I worked at the American Psychological Association, American Psychiatric Association, the International Association of Counseling Services, and the American Board of Addiction Medicine. I learned so much about psychology that I could not have any other way. Creative people interest me because I'm a creative type myself, and because they have complex needs in the mental health realm. I'm planning to specialize in working with creative people in my future counseling and coaching practice. I've been looking for a way to combine my two loves in life, and I finally found it. I'm looking forward to us helping each other learn more about the mental health needs of my favorite people: musicians! 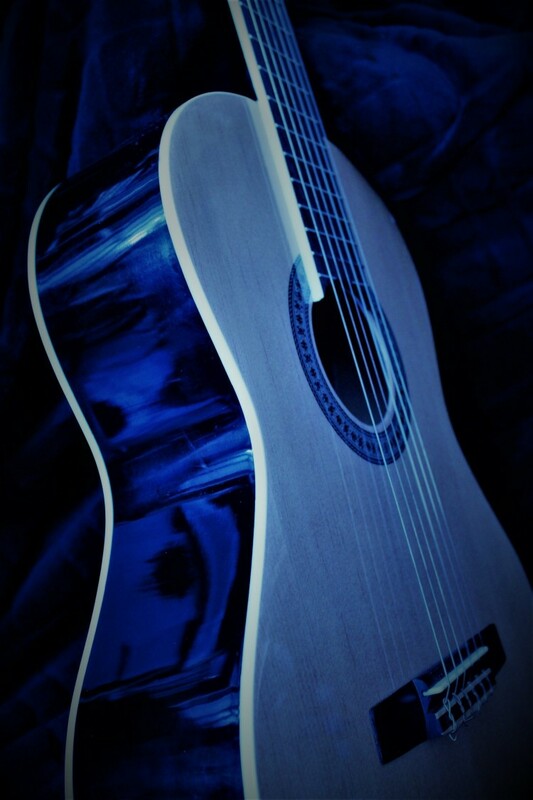 By the way...the guitar in the picture of me, and in the blue-tinted picture you'll see frequently on the site, is my classical guitar, who I named “Bridgette,” after the bridge of the guitar. 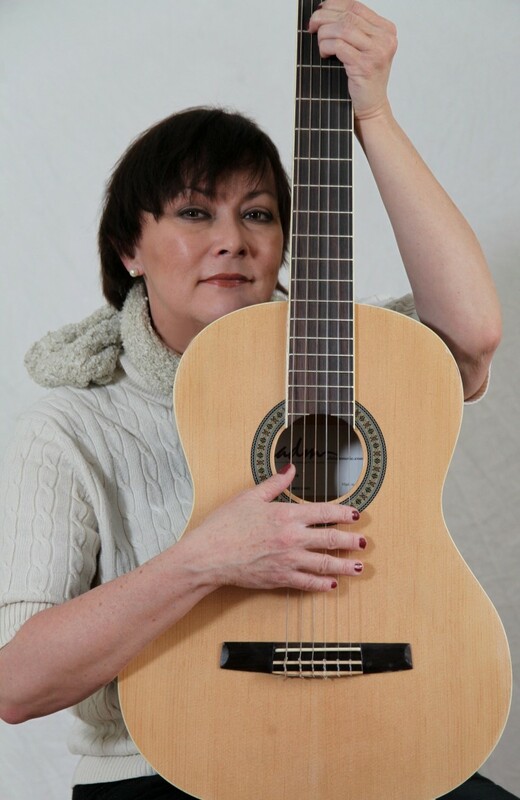 I also have a steel-string acoustic guitar I named Joni, after Joni Mitchell, who I love. Yeah, I'm one of “those people” - I name things! !